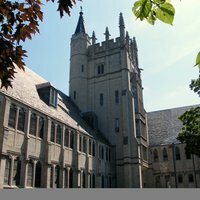 Garrett-Evangelical Theological Seminary was born out of the merging of three separate institutions: Garrett Biblical Institute, the Chicago Training School, and Evangelical Theological Seminary. Its history is also intertwined with Northwestern University, a school with which it still enjoys a close relationship, including sharing library and doctoral studies resources. Its location in Evanston on the campus of Northwestern itself provides students numerous opportunities with respect to both ministry and academic studies. Students at GETS are automatically members of the Association of Chicago Theological Schools and may draw upon the rich resources of the theological education provided in the area. Garrett-Evangelical seminary offers numerous academic degrees at both the masters and doctoral level. Master's level programs include the Master of Divinity (MDiv), Master of Arts in Christian Education (MACE), Master of Arts in Music Ministry (MAMM), Master of Arts in Pastoral Care and Counseling (MAPCC), Master of Arts in Spiritual Formation & Evangelism (MASFE), and Master of Theological Studies (MTS). Students interested in the Doctor of Ministry can pursue one of six concentrations: African-American Congregational Leadership, Community Organizing, Congregational Leadership, Spiritual Direction, and Preaching. 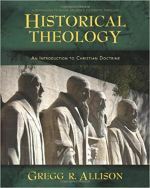 Finally, students who wish to pursue the Ph.D. can do so under one of six concentrations: Biblical Studies, Christian Education and Congregational Studies, History of Christianity and Historical Theology, Liturgical Studies, Pastoral Theology, and Personality and Culture. Students at Garrett-Evangelical seminary have access to numerous organizations and seminary-sponsored activities that contribute to their overall educational experience. There are student organizations devoted to shared interests (from knitting and crocheting to physical fitness), service to the community, and student backgrounds (including the Garrett-Evangelical Black Seminarians, Korean Student Association, and Sacred Worth, an LGBT-focused group). Interested seminarians may also participate in Student Council, which hosts numerous committees devoted to seminary life. The seminary also provides numerous opportunities for students to participate in shared spiritual life of the community, including options for communal worship and prayer as well as musical expression (including the Gospel Choir and Handbell Choir). Finally, the seminary sponsors numerous centers devoted to specific student interests, including the Asian/Asian American Center, Church and the Black Experience, Latino(a)/Hispanic Center, and WomenIMAGES. Due to Garrett-Evangelical's close relationship with Northwestern University, students may participate in services reserved for Northwestern students, such as the NU gym (with facilities devoted to aquatics and various other fitness activities, including intramurals). Garrett-Evangelical students have numerous options with respect to student housing. Students may elect to live in on-campus dorms, choosing from Old Dorm and Loder Hall, where students may choose from single rooms or suites. The dorms are WiFi equipped and also contain laundry, dining, and vending areas. There are also dedicated areas for recreation, prayer, and study. In addition to the on-campus dorms, students may elect to live in either Maple Avenue Apartments (unfurnished), Maple-Noyes Apartments (furnished), or Sherman Avenue Apartments (unfurnished). There are units available for both single students, married students, and students with children. All student apartments provide heat and hot water as part of the rent with various other amenities available depending upon the facility. Students at Garrett-Evangelical Seminary are fortunate to have access to a wide range of financial aid funds that range from partial to full tuition. Some full tuition awards include a stipend. Scholarships are awarded based both on need as well as academic achievement. The highest award of the seminary is the Eliza Garrett scholarship, which includes full tuition plus a $10,000 stipend. While only one Garrett scholarship is available, the seminary still awards a number of generous scholarships. The seminary also participates in federal student aid programs such as the Direct Student Loan and Work Study Program. As a United Methodist affiliated institution, Garrett-Evangelical seminary also assists Methodist students in securing United Methodist resources.